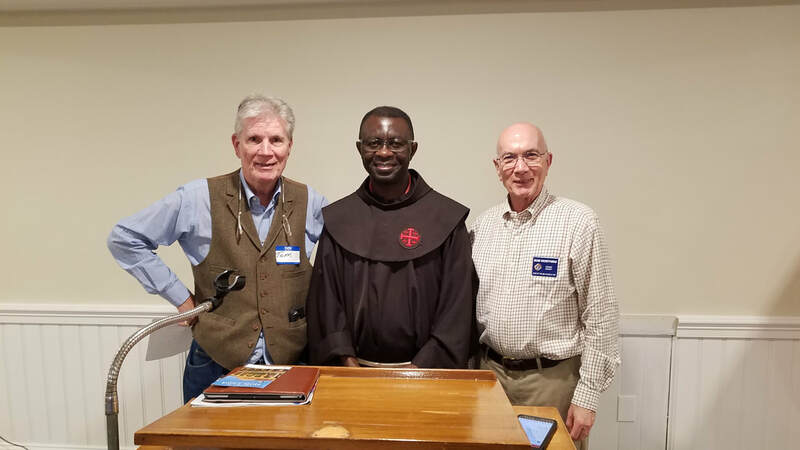 Father Ben spoke at our May 22, 2018 social. Tom and Terri Crovato headed this event and provided father to speak to the members, their wives, and guests. Holy Land for over 20 years. The last 6 years he has spent as a tour guide. He has just arrived here in the states on May 5 2018. Pictured left to right are: Tom Crovato, Father Ben, and Grand Knight of Star of the Sea council Bob Worthing. please click on my image!